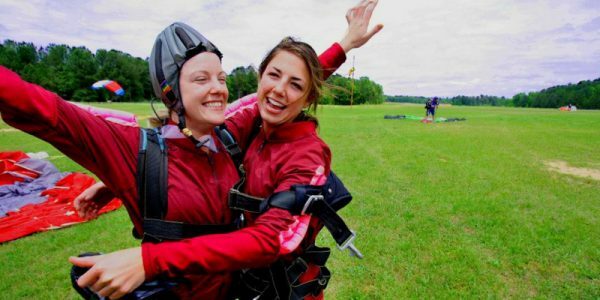 If you know jumping out of a plane is for you and you’ve never done it before, then a first time tandem skydive is a great place to start skydiving Atlanta immediately! Tandem skydiving is our most popular skydiving opportunity that allows guests from 18 to 80 (and in some cases beyond that!) to experience 60 seconds of freefall exiting at an altitude of 14,000 feet. You will share a tandem skydiving harness with one of our professional instructors who will show you why birds fly! At approximately 5,500 feet your instructor will deploy the main parachute allowing you to take in the surrounding views while skydiving Atlanta with approximately five minutes of peaceful flying. 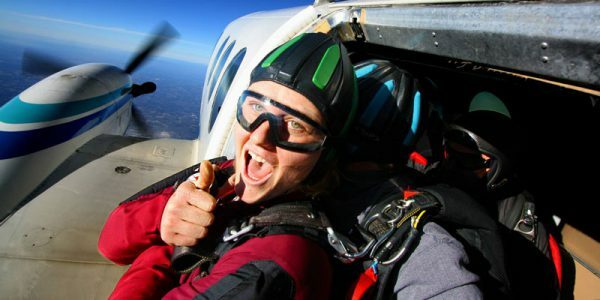 Are you ready to skydive Atlanta? Explore here for additional skydiving prices or book online. 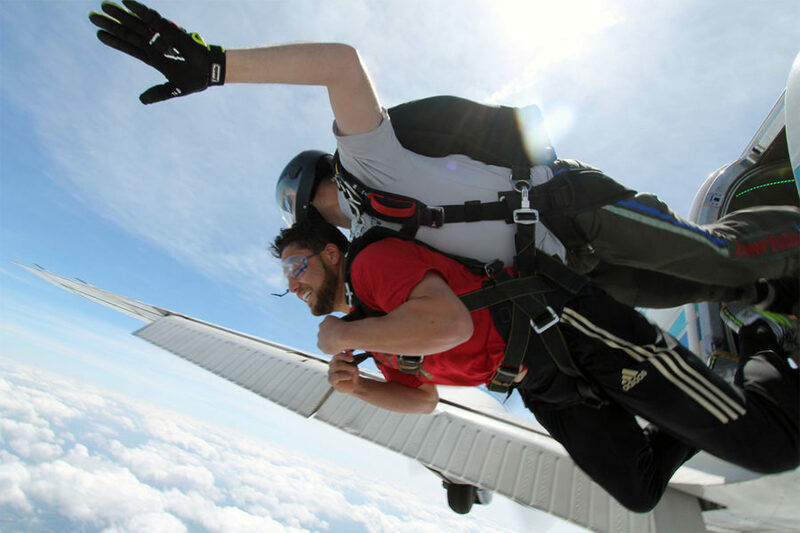 You should plan to spend a half day at the DZ for your first tandem skydive. Please plan to wear comfortable, season-appropriate clothing and athletic shoes (no open toes). We’re looking forward to skydiving Atlanta with YOU! 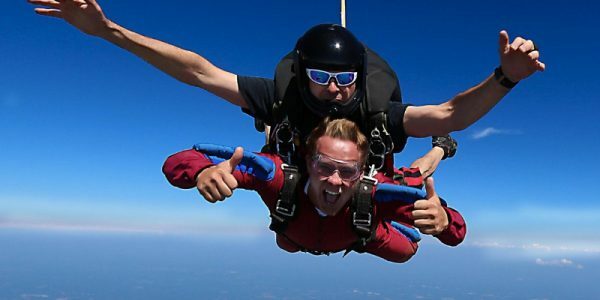 Book a Tandem Skydive Now! The best thing I have ever done! The staff at Monroe was incredibly friendly and professional, I would 100% recommend them to anyone!